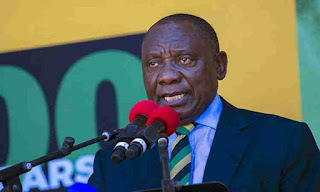 South Africa has increased its minimum wage to N126,480 per month, at a time Nigeria is struggling for a N30,000 minimum wage. President Cyril Ramaphosa of South Africa on Monday said the wage, which would come into effect January 1, 2019, would benefit about six million workers that currently earn R3,700 (N97,495). One South African Rand exchanges for N26.35, which means South African workers would be earning N527 per hour: N4,216 per day and N126,480 per month. Nigerian workers currently earn N75 per hour, which is N600 per day (at eight working hours per day) and N18,000 per month.